The “impasse” between the Scottish and UK governments on the operation of devolved powers must be addressed as a “matter of urgency”, a Holyrood committee has demanded. The Sewel Convention sets out politicians at Westminster “will not normally legislate” on devolved matters without the consent of the devolved administrations. But the fallout from Brexit has resulted in Tories in the UK Government clashing with politicians at Holyrood over when this should be applied. Bruce Crawford, convener of the Scottish Parliament’s influential Finance and Constitution Committee, has called for the issue to be resolved – saying “ideally” this should happen before Westminster passes the UK Trade Bill, which is currently before the House of Lords. The Scottish Parliament is set to vote against giving consent to this – as it did with the EU Withdrawal Act. When that happened the UK Government passed the legislation anyway, despite SNP, Labour, Green and Liberal Democrats MSPs all having voted against its approval. A Legislative Consent Memorandum from the Scottish Government has already said SNP ministers “cannot accept the restrictions on the exercise of its competence in devolved areas” in the Trade Bill, and as a result “cannot recommend that the Scottish Parliament gives consent, even conditionally, to the Bill in its current form”. Now a report from the Constitution Committee, which has been examining the issue, has stated unless agreement can be reached between the two administrations on how powers should operate then it can not recommend Holyrood approves key parts of the Trade Bill. The report said that while international trade is a reserved matter, the Bill could well have an impact on devolved powers in Scotland. He said the committee would now contact Scottish Constitutional Relations Secretary Mike Russell and the Secretary of State for Scotland David Mundell “requesting that they seek a solution to the impasse over the Sewel Convention as a matter of urgency”. Mr Crawford added MSPs would themselves try to find possible solutions, including “examining the proposal by our Westminster counterparts for the UK Government to set out a clear statement of circumstances under which legislative consent is not required by the Sewel Convention”. However Scottish Conservatives insisted the Trade Bill was “fully compliant” with the devolution settlement. 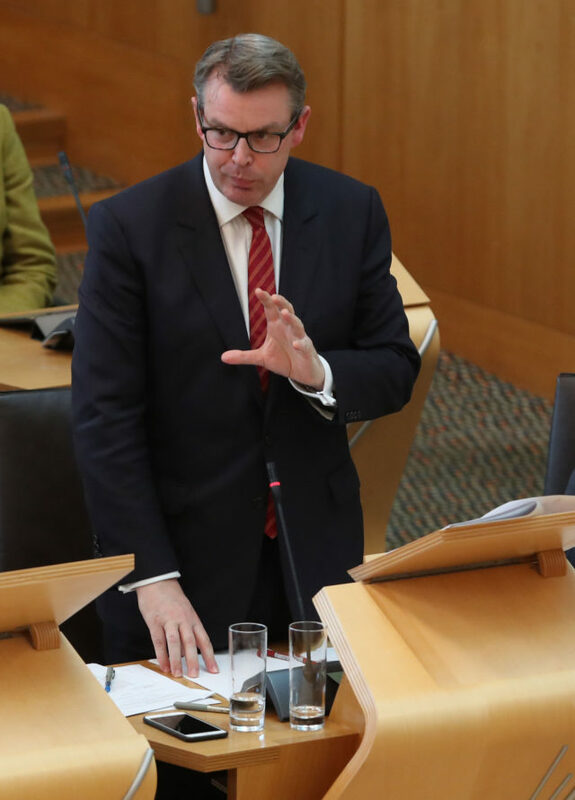 Tory MSPs on the committee dissented from parts of the report, and constitution spokesman Adam Tomkins said: “Both the Scottish Conservatives and the UK Government consider the UK Trade Bill to be fully compliant with our devolution settlement. “International relations and treaties, international trade and trade agreements are all reserved to Westminster under the Scotland Act, not devolved. Mr Tomkins continued: “The Scottish Conservatives believe there is no good reason for the SNP to withhold legislative consent to the Trade Bill. Constitutional Relations Secretary Michael Russell said: “I wholeheartedly agree that the devolution settlement urgently needs to be revisited, given the serious questions around whether it is robust enough to deal with Brexit. “I welcome this report’s agreement that the Scottish Parliament should not consent to this UK legislation because of the restrictions it places on devolution. It is a further message to the UK Government that it must end its power grab on the Scottish Parliament.